block paving from sunlight, water, oil, petrol and fungal/moss growth. 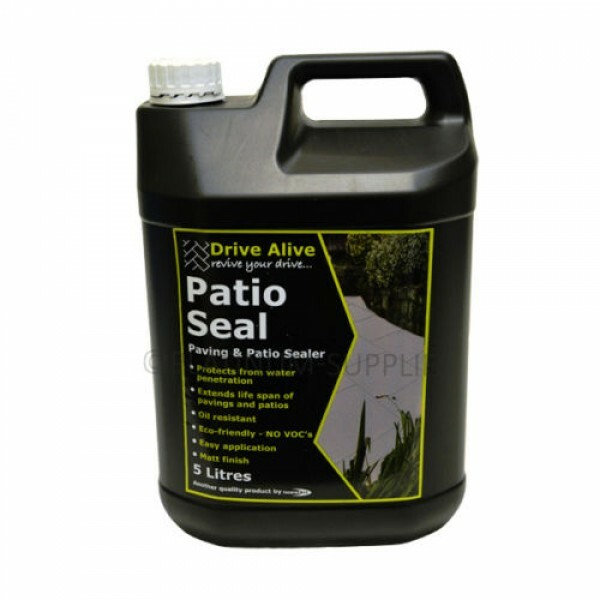 Bond It DRIVE ALIVE PATIOSEAL is designed to protect blocks, patios and sand joints from water penetration, oil/petrol/grease spillages and dirt and grime build up. For enhancing the present colour and greatly extending the lifespan of block paving driveways or paths and patios. Remove any moss or lichen using DRIVE ALIVE ORGANIC CLEANER. Ensure that any cleaning products have been thoroughly rinsed off the surface and that the surface is dry, free from oil, grease, dust and any loose material. Stir well before use. Do not dilute. PATIOSEAL must be applied to dry paving (check jointing sand). Ensure surface is thoroughly swept. Use a paintbrush to apply PATIOSEAL around the edges of the area to be treated. Use a brush, roller or squeegee to apply an even, single coat to the main area, ensuring no pooling occurs. Allow 3-4 hours drying time before trafficking the area. Joints will take longer to dry. Application temperature should be between 50C and 300C; cold and humid conditions will extend the drying time. - If applying to new paviors ensure that a sufficient Period of weathering (as recommended by the pavior manufacturer) has elapsed in order to avoid efflorescence. - PATIOSEAL should not be applied to previously sealed surfaces unless the previous sealer has been completely removed. - Pooling or over application of PATIOSEAL can result in whitening of the surface. - Always seal paviors (and allow PATIOSEAL to thoroughly dry) before applying jointing compound to prevent possible staining by the jointing compound. 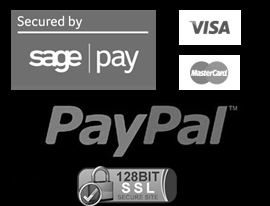 - Do not apply PATIOSEAL to wet pointing or to uncured cement based pointing compounds. - DO not apply to wet surfaces, in conditions of high humidity or when rain is imminent. - Do not apply to non-porous surfaces. - Keep children and pets away from treated areas until completely dry. - Do not let any run off contaminate drains, waterways or plants. Approximately 5 - 7m2 per litre depending on porosity of substrate. This product will keep for a minimum of 4 years if stored in the original container in cod dry conditions and away from sunlight.